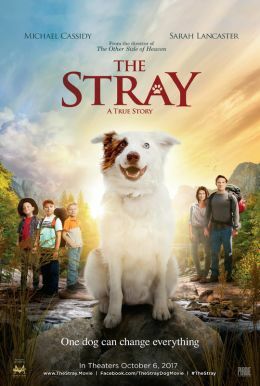 ‪The Stray tells the true story of how a stray dog, “Pluto,” comes out of nowhere and impacts the Davis family, who are struggling in many ways. In just a short time, Pluto the “wonderdog” manages to save a toddler, bring comfort and companionship to a hurting 9-year-old boy, help restore a marriage, and repair a broken father-son relationship. Pluto is not only a guard dog - he’s a guardian angel. Sometimes help comes from the most unlikely places. Sometimes our prayers get answered in strange ways. Sometimes one dog can change everything.